Inishmore Self Catering Holiday Cottage is modern self catering cottage which is approved by Cavan Tourism and the North West Tourist Board (4 star). 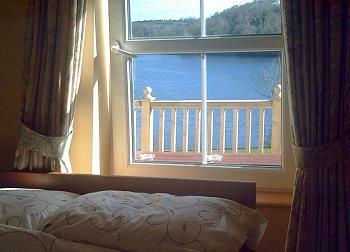 The 2 bedroom self catering cottage is located uphill overlooking Carrafin Lake and private jetty. The cottage was built in 2006 on a 30 acre dairy farm which extends to the shores of Carrafin Lake beside "the Weir" and 300 mtrs down the road from the river Erne at Carratraw Bridge. The cottage is located 6 Km from Butlersbridge Village and 12 km from Cavan Town, and is also close to other towns in Cavan such as Killeshandra, Belturbet and Ballyconnell (with the Slieve Russell Hotel golf course). The cottage has it own decking and BBQ area with its private car park. The cottage is spacious comprising of a large sitting room and kitchen, two bedrooms (one ensuite) and a separate bathroom. The land is surrounded by water which is abound in stocks of bream, roach, bone, rudd with hubrids and there are also perch, pike, eels and some brown trout. We have fishing boats for hire with engine and an own private jetty at the house. This location in Cavan offers many more attractions beside fishing, such as golfing, swimming, riding etc. Plenty of shops, pubs and restaurants can be found in the town of Cavan. The Lynch family have run a modern farm guest house for over 40 years, and also run a medium sized dairy farm. 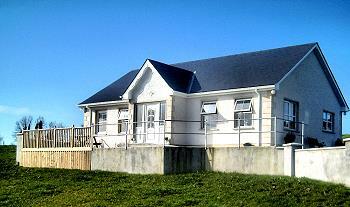 Everyone is guaranteed a peaceful holiday here in Inishmore which is surrounded by water and unspoilt rural countryside. We extend a Cead Mile Failte - a hundred thousand welcomes - to Inishmore!